In the previous post we added the character to our game and added animations to it. But, the character was not really moving. In this post we will set the ground moving, oh wait. Ground moving? Aren't we supposed to move the character? Well, yes we are supposed to move the character, but then since I ain't no 3d designer nor an artist, we will use the technique of scrolling the ground by using the texture offset property of the Materials (Ground Material in this case). What we need to do is modify these offsets runtime via script. Create a new folder named Scripts in the Project panel. Add a new Script to the Scripts folder by right clicking and navigating to Create-> C# Script, name it as GroundControl. We basically need to set up an illusion to the player so that he feels that he is moving even though he is not. And to achieve that we animated our character so as to make him run. Then, we are offsetting the texture of the ground in the negative y direction so as to complete the illusion setup. In the code above we firstly have setup a rate at which the offset should take place. Then we have setup a counter by using Time.time, multiplying this counter with the offset rate gives us the desired offset. All that is remaining is to assign this to the rendering material. The offset is a 2d offset with no offset i.e. 0 along the x axis and the required offset rate along the negative y axis. Negative y axis is because if we need to produce an effect of the character moving forward, we should make the ground move backward. 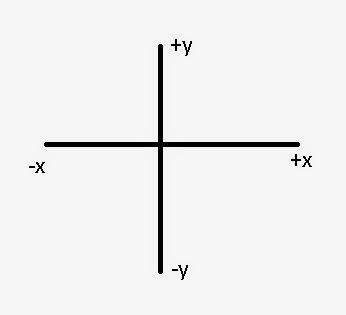 Refer the below image if you are not aware of the x and y axis. Save the script and go back to unity. Add this script to Ground and both the Wall Gameobjects to get this illusion into effect. Once added, press ctrl+p or the play button to check out the magic! well, may be you have pasted the script outside the class definition and you might not have included the namespaces either. Well, my mistake. I believe you have named the script as GroundControl in the Assets folder and the class name is GroundScript. Paste the below script and everything will be fine. Sir, I tried the scripts you wrote but there is one error. it says 'unityengine.component does not contain a definition for 'material' and no extension method 'material' accepting a first argument of type 'unityengine.component' could be found. what does this mean, how do I fix it. thanks in advance! The shortcut seems to be removed from Unity 5 onwards. To get this working replace, renderer.material.mainTextureOffset with GetComponent ().material.mainTextureOffset. the type argument for method 'UnityEngine.Component.GetComponenet()' cann't be interred from the usage. try specifying the type argumentsexplicitly. AARON: I same with him sir, i try all your solutions but don't work. for me walls are going in opposite direction please help..
guys plz rply: 3errors are -No idle animation found. Turning off animations. 4th error as -No jump animation found and the character has canJump enabled. Turning off animations. if it was explained in above steps plz suggest in whch step it was explained? The 3rd Person Controller had these animations when you imported the character controller package.. Check out the step 4 of the Part 3 of this tutorial series..
MissingComponentException: There is no 'Renderer' attached to the "GameObject" game object, but a script is trying to access it. You probably need to add a Renderer to the game object "GameObject". Or your script needs to check if the component is attached before using it. 2) I want to add roof (wall) on the top . why my script cannot open?? When you import the images, set the image as a "texture" in the inspector and set "Wrap Mode" on "Repeat" instead of "Clamp". Thanks for posting your solution. Much obliged. 1) Check if the script's name is the same of the class. 2) Use the code below. how to increase speed after particular distance covered or time covered? ?